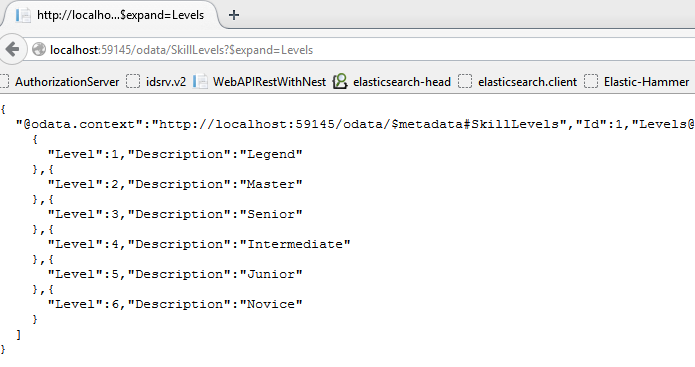 This post is part 7 of the Web API and OData V4 series. 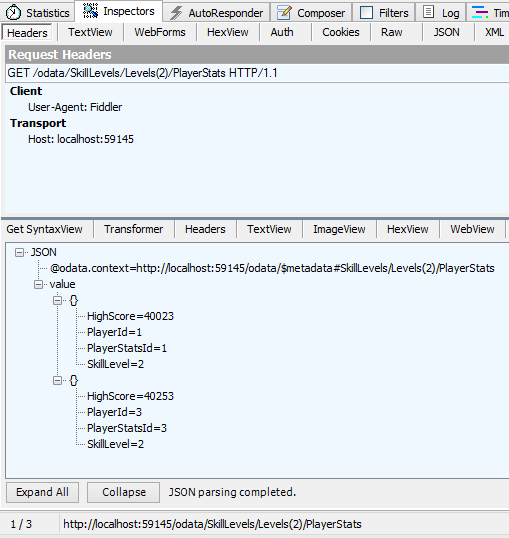 This article demonstrates how to use an OData singleton with Web API. The singleton class has a list of child entities which is used to select contained entities from the SQLite database. The SkillLevels will be the OData singleton. This entity has a list of contained SkillLevel entities. The SkillLevel entity has a Contained PlayerStats list which is selected from the database. Web API OData V4 makes it very easy to use or implement OData singleton models. This can be mapped, referenced like EntitySets or Collections of EntitySets. Hi Thanks for putting my site on your blog.